This week’s Bargain Wine is a 2015 Albero Rosé, a Spanish wine made from the Bobal grape. We are in the midst of a Rosé Renaissance. No longer is this a category dominated by overly sweet wines like Matteus Rosé and White Zinfandel. A crisp, dry, rosé is a delightful addition to a warm summer’s afternoon in the garden. I was attracted to the 2015 Albero Rosée both by the price, $5.99, and its use of a grape with which I was unfamiliar; Bobal. This grape is a native of Spain, where it is the third most planted variety behind Airén and the more famous Tempranillo. The wines made from the grape tend to be low in alcohol and high in acidity. 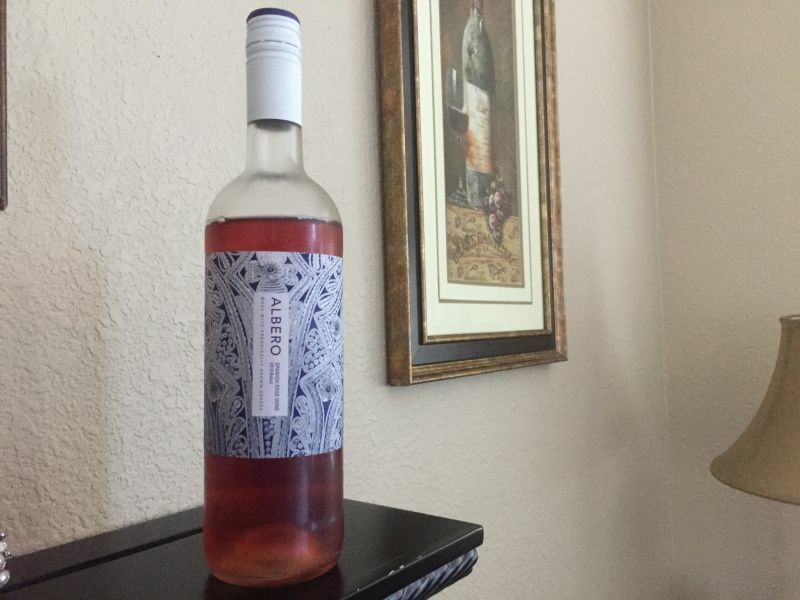 The 2015 Albero Rosé is made from 100% organically grown grapes. The vineyards are in the hills to the West of Spain’s Mediterranean coast near the city of Valencia, the heart of Bobal’s native area. The colour was a deeper red than is normally the case with a rose; a pale red rather than a pink. The nose was of rich fruit. The taste was dry, crisp, and strongly acidic. The flavour was not intense but had clear notes of raspberry. I found the wine to be eminently drinkable, if bereft of any great defining characteristics. California Girl, however, found it far too acidic and stated it was one of the worst rosé wines she had drunk. We paired this wine with a home-made risotto, the richness of the dish balanced by the assertive acidity of the wine. The faces of the wine world are changing, and it is a good thing..